Sunday 27 May 2018, Trinity Sunday. 9.30 a.m., The Parish Eucharist (Holy Communion 2), Castletown Church, Co Limerick. Today is Trinity Sunday. 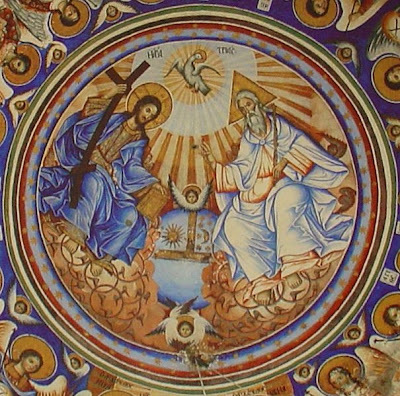 The doctrine of the Holy Trinity was proclaimed to the world after the first great Pentecost. 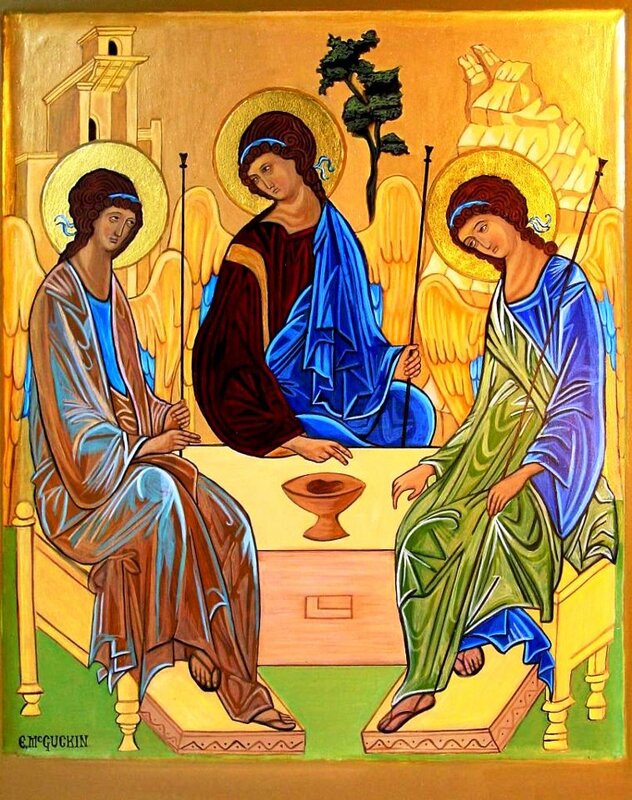 So, it is fitting that the feast of the Trinity today follows immediately after that of Pentecost last Sunday. This is one of the three great creeds of the Church, alongside the Apostles’ Creed and the Nicene Creed. But in recent years, this Creed has been relegated to a place in the Book of Common Prayer of the Church of Ireland between the Catechism and the Preamble to the Constitution. But some other parts of the Athanasian Creed would be harder work to explain this morning. ‘A world of one dimension would be a straight line. In a two-dimensional word, you still get straight lines, but many lines make one figure. In a three-dimensional world, you still get figures but many figures make one solid body. In other words, as you advance to more real and more complicated levels, you do not leave behind you the things you found on the simpler levels: you still have them, but combined in new ways – in ways you could not imagine if you knew only the simpler levels. ‘Now the Christian account of God involves just the same principle. The human level is a simple and rather empty level. On the human level one person is one being, and any two persons are two separate beings – just as in two dimensions (say on a flat sheet of paper) one square is one figure, and two squares are two separate figures. As I was praying and thinking about this morning’s theme, I spent time in prayer and reading, and found my prayers were helped by a photograph I have of a fresco on the wall of the south choir aisle in Lichfield Cathedral depicting the Holy Trinity. 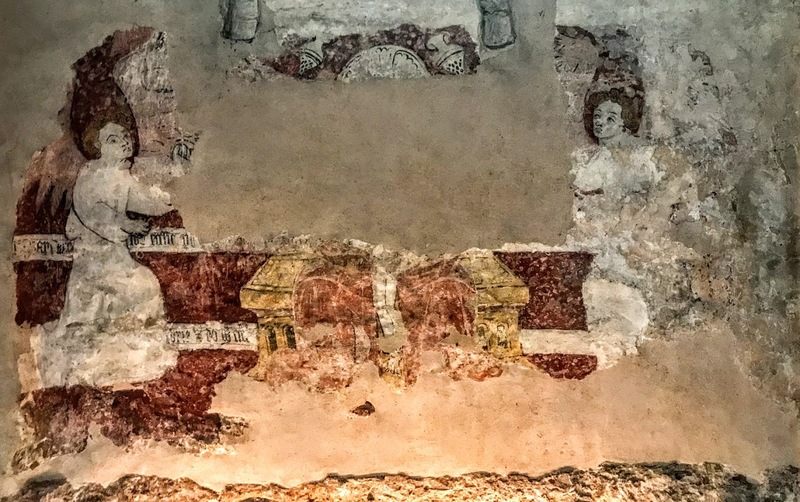 This scene, showing the Trinity flanked by two censing angels, was painted sometime between the 14th and mid-15th century. This painting was damaged severely by the Puritans in the religious strife later in the mid-17th century. But it is still possible to look closely and to see how it originally depicted the Holy Trinity. This sermon was prepared for Trinity Sunday, 27 May 2018. 468, How shall I sing that majesty.